NLC Solutions is a full-service commercial cleaning company in New Jersey. Since our inception in 1986, we have been providing stellar cleaning solutions for our clients in Union County. We will work with you to evaluate your cleaning needs and deliver appropriate solutions that match your budget. Union County is the 7th most populous county in the U.S. state of New Jersey. The county is also a part of the New York metropolitan region. It has an excellent transport infrastructure with major highways traversing the county, including US Route 1/9, Garden State Parkway, New Jersey Turnpike, US Route 22, and the Goethals Bridge. Some of the historical societies in the region include Berkeley Heights, Cranford, Hillside, Westfield, and Mountainside. Floor Care in Union County, NJ:From commercial carpet cleaning to floor scrubbing and waxing, NLC Solutions does it all. As a dedicated commercial cleaning contractor, we offer a full range of professional floor care services. Industrial Cleaning Services in Union County, NJ:Greet your visitors with clean and spotless doors, floors, and windows by taking advantage of our professional commercial cleaning services. Green Cleaning Services in Union County, NJ:Our cleaning specialists are trained in green cleaning techniques and use eco-friendly equipment to ensure no harm is done to the environment. Cleaning Supplies in Union County, NJ:NLC Solutions makes restocking cleaning supplies for your business premises easy with our on-demand warehousing solutions. Do not hesitate to request for a quotation from NLC Solutions. 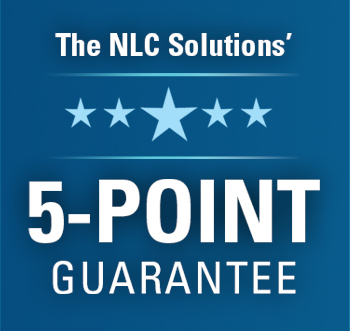 Give us a call at (908) 753-3900 or email us at info@nlcsolutions.com to get started today!